Do you ever have those days where nothing seems to be going your way? It’s raining outside – but you’ve left your umbrella behind. One meeting runs over and you’re 30 minutes late to everything else. 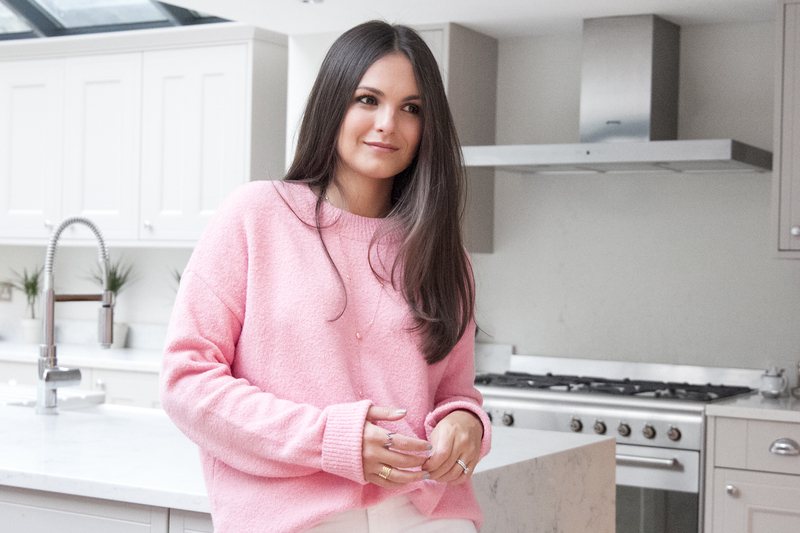 That’s pretty much what happened the day I caught up with Pampelone founder, Holly Scarsella in her home in South London. New York is my base, and I’m very happy here. It’s a crazy city, but an amazing one, but when I moved here I basically knew no-one. In London, I had a tribe. The experience of starting in New York without the creative network and support system I’d grown up being part of reminded me about what it’s like to embark on new territories on your own. Catching up with Holly – who I know from her former life as a fashion PR – reminded me just how incredible and empowering it is to be surrounded by likeminded women who celebrate your moments of triumph but who can also give your courage when you’re riddled with fear and empathise in those challenging days where nothing seems to be going as planned. She also reminded me how exciting it is right now to be a woman business and made me walk away with a spirit of optimism and empowerment that the day-to-day life of running a business can often knock out of you. HOW HER START IN PR WAS A FOUNDATION FOR LIFE AS AN ENTREPRENEUR: In my first year of University, one of my best friends called and told me she had the perfect job for me. She had recently interned in a fashion PR agency and thought it would be a perfect fit for my personality. I scheduled an internship there during the next Easter holidays and just loved the diversity of work and the fast-paced nature. It suited me to a tee. From then on, I interned at every opportunity I got throughout my degree – every summer holiday, Christmas break and Easter. I chose PR agencies in differing sizes and with different specialities to get as much of an idea of the industry as I could. Yes, it meant less holidays and time-off than my friends but I credit this for kick starting my career. I have always had drive and a tenacious personality. I will strive to work harder than anyone else in the room to be the best I can be. These personality traits, I’m learning now, are key to being an entrepreneur. Throughout my career in PR, I worked both agency and in-house. While with agencies, I worked for some huge global retail brands including SPANX, Tiffany & Co, UGG Australia, Triumph and Puma but also some smaller lesser known brands launching to market. It was fascinating to see how such established brands worked, but also to see the power of marketing when launching brands to market. THE CATALYST FOR LEAVING HER JOB AND STARTING PAMPELONE: My in-house role was the last job I had before leaving to start Pampelone. It opened my eyes for the first time to other aspects of business, not just the PR & Marketing that I was used to. I was exposed to wholesale, e-commerce, customer relations and so much more. I absorbed as much information as I could there, and for the first time really understood how a business worked. This gave me the confidence that I had the basic understanding of how to launch my business. Of course, there was so much still to learn, in fact I’m still learning on a daily basis, but it did give me the foundations. I had my idea, business name, business plan and initial funding in place before I decided to leave my job to launch Pampelone. It was the biggest risk I have ever taken but one I would take time and time again. Yes, the pressure to make the business a success was huge, but I think that pressure only drives you to work even harder. THE IDEA BEHIND THE BRAND & WHAT MAKES IT SPECIAL: Pampelone is resort wear inspired by the Riviera made ethically in India. We bridge the gap between high street and high-end offering well-priced yet high-quality pieces. ON HER PRICING STRATEGY: In the retail landscape, the mid-priced offering is an ever-growing sector so we were confident this would work with resort wear, seemingly one of the last remaining categories not fulfilling this price bracket. With our choice to price the brand like this, positioning is more important than ever. We need to be positioned as aspirational to those who will be investing in one of our pieces, but still appealing and on-trend enough to those who can afford to buy 7/8 pieces per season and ensure that they feel like they’re still buying into a cool brand that can sit in their wardrobe aside Missoni or Vita Kin. From a revenue perspective, this has also been a challenge – trying to manufacture a quality and ethical product for almost a third of the price less than our competitors. It’s tough, but it just means I have to work that much harder to find better manufacturing partners and to sell more in order to increase margins. 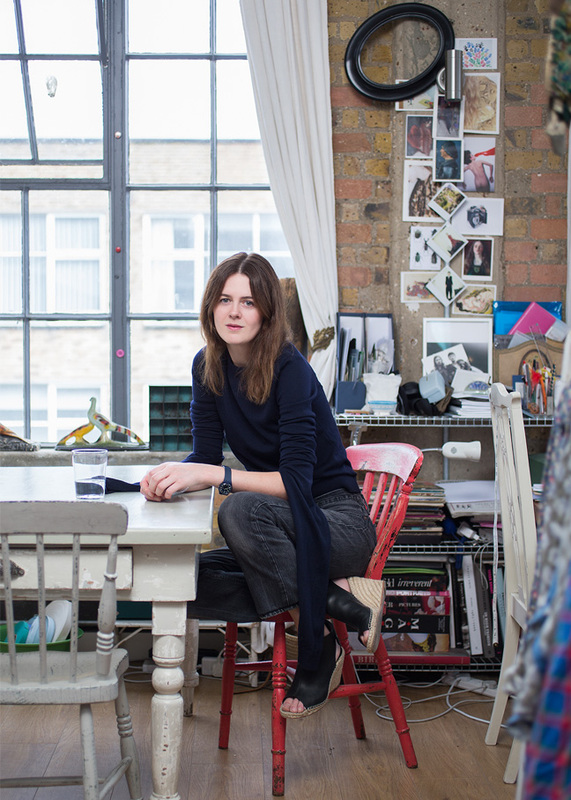 HOW SHE FUNDED THE BUSINESS AT THE START: Initially, I used a start-up loan from Virgin. It’s actually a fantastic scheme that offers mentorship as well as a loan to young entrepreneurs. That said, I was incredibly naïve in budgeting how much I would need to kick start the business. Once I got the loan and started to work on getting the business up and running, I quickly realised I needed a lot more money. Advice I would give to anyone starting a business would be to research properly how much every element will cost. Think of all eventualities and leave a very healthy contingency; sometimes it’s the smallest, most overlooked elements that end up costing you the most. I stayed working at my job while I was setting up the business. I only quit at the point when all elements were in place – my last day at work was the week before my website launched. This was also the point I knew I needed to throw myself at the marketing of the business. Knowing when to quit your job is really difficult, as there are two ways of looking at the situation. Keeping working will keep you financially stable for longer but when you launch a business, you have more chance of making it work by fully submersing yourself into it and putting every ounce of energy you have into it. You only have one chance after all. THE PROCESS OF GETTING SET UP: For me it was quick – too quick. I decided to start the brand in December 2014 and we launched July 2015. That’s just over 6 months to get funding, incorporate, develop products, find a manufacturer, create a website and so much more. But then this goes back to my tenacity and drive to want to work big and work now. For me, we had to launch summer 2015 or I would have to wait until summer 2016, which was not an option for me. My advice to anyone would be to take the time you need to launch properly with a plan in place. By no means do I mean be lazy or sloppy, after all time is money, but do not rush. Again, you only get one chance. ON KEEPING QUIET BEFORE THE SITE WENT LIVE & HOW SHE WOULD DO THINGS DIFFERENTLY: Apart from family and close friends, I told as little people as possible about launching the business. As well as being driven, deep down I’m also painfully terrified of judgement and failure. I felt more comfortable telling people when I had the website in place so people didn’t assume it was a silly idea that wouldn’t go anywhere. Fear and apprehension is natural when putting yourself ‘out-there’ to be judged, but once we launched, I received an overwhelming amount of support and help from people I knew. I really wish I had told people earlier. HOW SHE SECURED CUSTOMERS IN THE BEGINNING: For our first season, we had little to no marketing spend. Luckily I used every contact and trick I had from my PR days to promote the brand and push people to our site. For a fashion brand, social media and partnerships are the areas key to focus on. We also had to make sure the product was right. We only had one chance to get customer and press interest so we knew we had to create a product they would love and want to recommend. We spent months fabric testing to get the perfect breathable cotton, and designed the products to a tee to ensure they were effortless, yet looked good. The Bardot dress ended up being our best-selling piece, which has sold out six times to date and has been worn by bloggers including Pandora Sykes and Olivia Palermo. It’s nice to see bloggers and press recommend a piece I spent hours working on. That feels great. ON GETTING A FOOT THROUGH THE DOOR WITH RETAILERS: Before approaching retailers, you need to be clear on your point of difference. For us it was our price point, but it was also our high quality and the fact we were ethically made. The work to ensure these points were in place came months and months before even thinking about approaching buyers. In regards to actually contacting buyers, I had zero experience. In the beginning, I literally stalked key buyers on Linkedin. But instead of sending an obviously blanketed email, I worked all night for weeks researching product mixes and price points of my target stores so when I emailed the buyers, I came across educated in their buy. I knew what works for them, where we could fit in their matrix, and could single out our points of difference. In meetings, I treated the buyers just as my old PR meetings – educated on the brand while ensuring to repeat key soundbites. One of the key things I had to learn was the buying language – I was literally googling phrases as soon as I left meetings to understand what I had just agreed to! As such a new brand we are always learning, and hearing advice and feedback is key for growth. For example, a large US retailer initially declined our range as there were certain necklines that do not sell well for them. We adapted the collection to suit their customer and we are now in 37 of their stores. That said, there will be instances in which the brand will just not be right for the retailer, and I do not agree with adapting your brand completely to make it fit. You have to really question whether that retail partner is right for you and question how far you would go to make it work. DEALING WITH MORE RETAILERS AND MORE UPFRONT PRODUCTION COSTS: This is one of our biggest challenges to date. The more we grow, the more stock we need. We pay our manufacturer a percentage upfront, and a lot of our retail partners only pay 60-90 days after delivery, which can create a 6-month outlay. That, mixed with reinvesting in the business, created a headache. The only way to overcome this is by keeping an up to date working cash flow and knowing at which points the business will need support. Planning is key in keeping one step ahead. Over the past 10 years, there have been clear examples of great brands compromising on quality as they grow in order to increase profits and margins. I work 10 times harder to maintain the growth without compromising on the quality of our pieces. 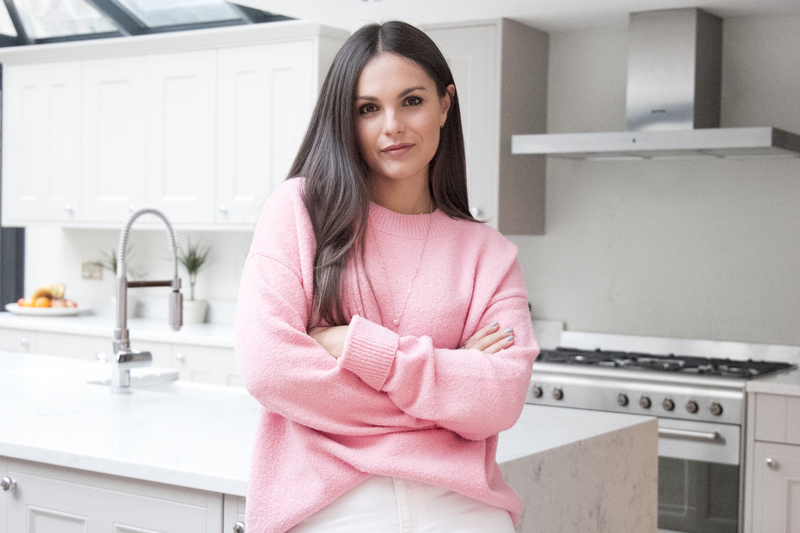 ON INFLUENCERS & HOW SHE’S GOT HER CLOTHES ON KEY BLOGGERS WITHOUT HAVING TO PAY FOR IT: Bloggers and Influencers are fantastic at promoting your brand and creating exposure, but they’re also not cheap. For me, they’re essentially the modern-day advertising with bigger and more tangible results. Again, I’m lucky to have some great relationships from my PR days but I’m also honest. Yes, we did not have the money in our first few seasons to pay anyone, but as we grow we will absolutely partner with people that have supported us. Instagram has been key in creating sales and click-through to our website and this has been from both bloggers and influencers. Influencers with large networks have a great purpose – they’re great at creating exposure for your brand, but you need to ensure they’re right for you. Pandora Sykes blogged about the brand within our opening week, and wore our Bardot dress in Sardinia. We got a huge amount of click-through to the website from the Instagram post alone and thousands more from the subsequent blog post. 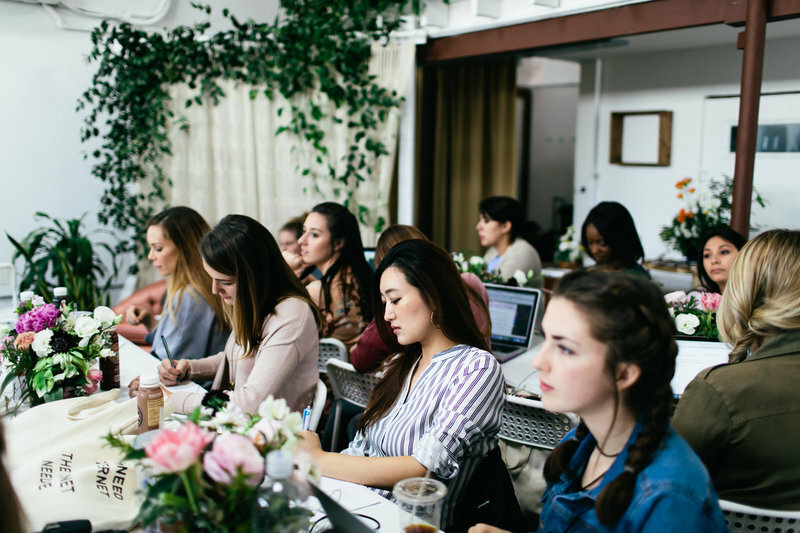 It’s really important to track and evaluate your work on social media and with bloggers. I live on Google Analytics and can see exactly what traction I get when each blogger posts about my brand. I know exactly which bloggers/ influencers work for us and which don’t and usually it’s not the most obvious people. For me, with every marketing activity we undertake, we are constantly evaluating and ensuring what we are doing what works and creates awareness – click-through to our website and ultimately, sales. Other influencers may not help drive thousands of customers to the website, but create visibility in markets you’re looking to expand in. For example, we gifted a series of LA socialites and in turn got the attention of Gwyneth Paltrow’s GOOP who we went on to partner with last summer. WHY AUSTRALIA WAS THE FIRST MARKET SHE FOCUSED ON OUTSIDE OF EUROPE: It’s a key territory for us as they have a huge resort wear demand and seasonally, creates cash flow in our winter. I travelled to Sydney to carried out numerous marketing activities from blogger brunches to gifting suites for influencers. Now the blogger and influencers have started to wear and post about the brand, our Australian traffic to the website has risen over 300%. We’re still relatively new to most international territories so our strategy over the next 12 months is to spend time in key locations, visit retailers, press and bloggers and infiltrate those markets. ON EMBRACING HER FEARS AND PLAYING BIG: Fear has been my best friend since launching Pampelone. It’s something that still keeps me awake at night and something I still have to learn to control. But at the same time, it’s the thing that pushes me forward, and makes me work so much harder to make the business work. Sometimes I want to pull my hair out and question why so much goes wrong. Recently, I had product stuck in customs in NYC, which I had to release within 2 hours or we would miss a shipping window; 3 boxes from Australia went missing, and the website broke. Instead of letting it break me, I’ve had to learn to deal with problems differently. You have to stay calm, prioritise the workload and accept this as a normal day’s work. My husband always reminds me that, ‘it’s not meant to be easy: if it was, everyone would do it’. 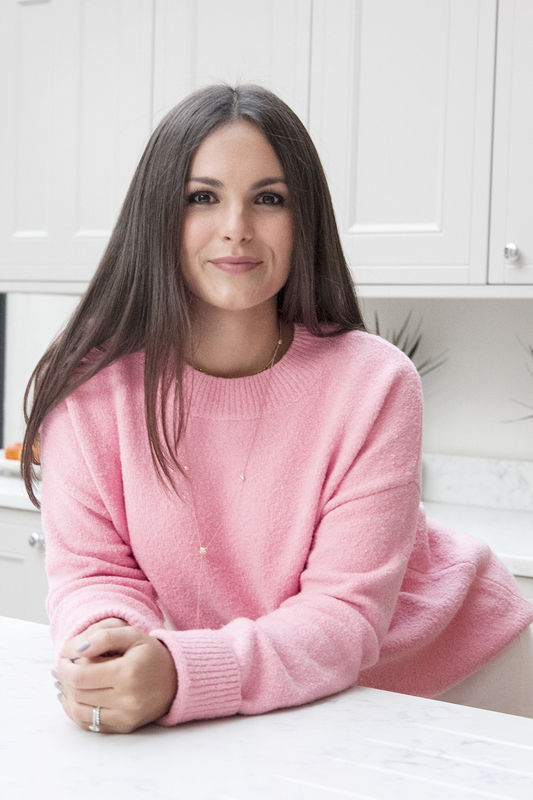 HOW SHE’S UTLISING HER PR BACKGROUND TO GET THE BRAND OUT THERE: One of the key elements in the PR plans I used to write for my clients was the importance of founder profiling and showing the person behind the brand. I shied away from doing this for as long as I could, probably due to my fear of putting myself out there for judgement, but now it’s something I’ve learnt to embrace. I love to use my personal Instagram to give a peak behind-the-scenes and now understand how important it is to use myself as a tool to further promote Pampelone. Our customers are intelligent and empowered women and I think they respect that I’m a hard-working female entrepreneur. ON BEING A WOMAN IN BUSINESS: Thankfully in the fashion industry there are so many well-respected women, I’ve never felt my gender has held me back. Having said that, now I’m starting to look for investment I’m starting to notice the judgement a lot more. Walking into big investment firms and meeting investors is scary enough as it is, but it is true that you are judged in a certain way. It’s the most satisfying thing to stay intelligent and composed and have everyone’s attention by the end of a meeting. WHAT’S NEXT: We’re expanding into new product lines and into new territories. We are looking at the Middle East and Asia as new target territories, which is hugely exciting. In June, we’re launching our first ever, exclusive children’s collection in partnership with Charity Mothers2mothers. We have created three mini-me versions of our best-selling items with all proceeds going to the charity. It’s so nice to be in the position to be able to use the brand to benefit such an incredible charity.